Jack in the Box is among the nation's leading fast-food hamburger chains, with more than 2,200 quick-serve restaurants in 21 states. 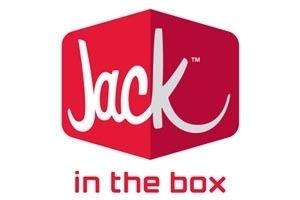 As the first major hamburger chain to develop and expand the concept of drive-thru dining, Jack in the Box has always emphasized on-the-go convenience, with approximately 85 percent of the half-billion guests served annually buying food at the drive-thru or for take-out. In addition to drive-thru windows, most restaurants have indoor dining areas and are open 18-24 hours a day. Jack in the Box pioneered a number of firsts in the quick-serve industry, including menu items that are now staples on most fast-food menu boards, like the breakfast sandwich and portable salads. Today, Jack in the Box offers a selection of distinctive, innovative products targeted at the fast-food consumer, including hamburgers, specialty sandwiches, salads and real ice cream shakes. Hamburgers represent the core of the menu, including the signature Jumbo Jack, Sourdough Jack, Ultimate Cheeseburger and the 100% Sirloin Burger. And, because value is important to fast-food customers, the company also offers value-priced products on "Jack's Value Menu," including tacos, chicken nuggets, a chicken sandwich and the Breakfast Jack.